Dame Helen Mirren and Sir Ian McKellen have both signed on to star in thriller The Good Liar. 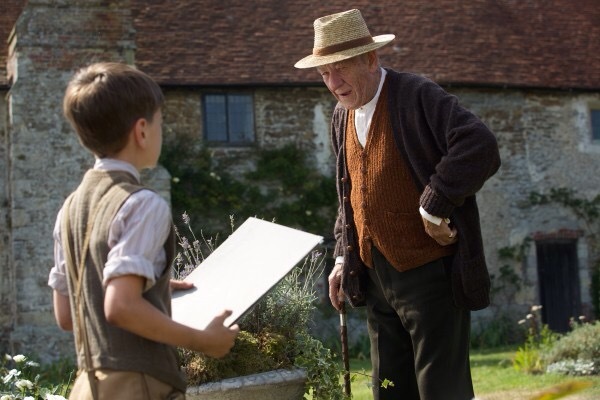 Here’s our first proper look at Sir Ian McKellen as Sherlock Holmes in his new film, Mr Holmes. Sir Ian plays the super sleuth as a 93-year-old now living in retirement with his housekeeper (Laura Linney) and her son. But Sherlock is still haunted by a case he never solved (shock!) and sets out to search for the truth once and for all – but without the aid of his trusty Dr Watson. The film is directed by Bill Condon who worked with McKellen on the brilliant Gods And Monsters. It will have its world premiere at the Berlin Film Festival next month and should be in cinemas later this year.